Keeping on top of finances is a challenge. Even if you're fairly comfortable and know how to save money effectively, life throws us curve balls when we're least expecting it. Whether it's a costly car service, an unexpected relocation or an emergency roof repair, many of us struggle to find large sums of money at short notice. Don't feel guilty for asking for a loan. Like we said, there are unexpected twists and turns you can't always prepare for! But, there are ways to get organised so that you feel in control of your repayments. First, use your previous bank statements to work out how much you spend on your household bills, food, travel, phone contracts, pets, clothing, toiletries, cosmetics and leisure activities every month, as well as your loan repayments. These are your outgoings. Then, work out what your household income is by adding up your pay cheques after tax. Ultimately, your household income needs to be larger than your outgoings, so if you're spending more than you're earning, find something to cut back on. Take cash to the supermarket to stop yourself from overspending and give yourself 'treats' like dinner out once a month, rather than buying lunch at work every day. If you're spending lots on a credit card, try using cash only for a while, or use a debit card without an overdraft. A budget and mindful spending will help you become organised. Secondly, if you're being stung for late payments, take the time to set up a few direct debits. Not only can you spread the cost of recurring bills such as your TV license and car insurance, you'll also find that payments are made on or before their due date. You can pick the date, arrange it to continue to 12 months (or more) and let payments happen automatically! Arrange for your big bills to come out via direct debit the day after you've been paid - that way, your mortgage and utility bills are covered off for the next 30 days. You'll sleep easier, and know exactly how much you have left over for the rest of the month. Next, if you're shopping online, don't just buy the first thing you set your heart on. Shop around on different websites - you might grab a bargain! Finally, remember that you could save thousands of pounds by switching your mortgage and energy suppliers. Staying with the same company year after year means you might not be getting the best deal, so set aside a weekend once every 12 months to negotiate a better deal. Take a look at our advice about when you should dip into your savings. According to the Money Charity, around 40 people in the UK are declared bankrupt every day. You don't have to be one of them. 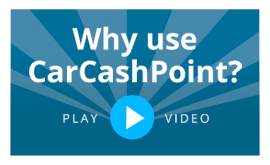 If you're struggling and need a fuss-free loan quickly, Car Cash Point can help. You don't need to worry about your credit rating, and in many cases, you can have the money in your account within an hour. For more information on how our loans work, have a look at our FAQs.